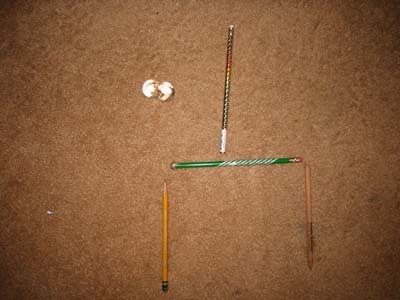 First I layed out four pencils and my glass potato. 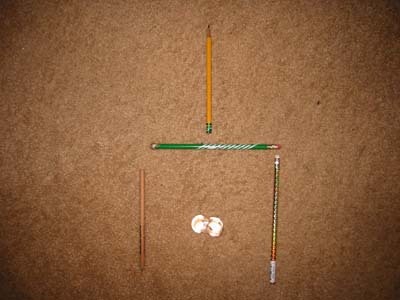 I thought it would be easier to solve this game with real physical objects. I knew that you had to keep the shape of the cup. But I misunderstood and made this. I thought that was too easy, so I quickly checked your email with the directions. I said to myself, "Oh! the ball has to be OUTSIDE the cup." 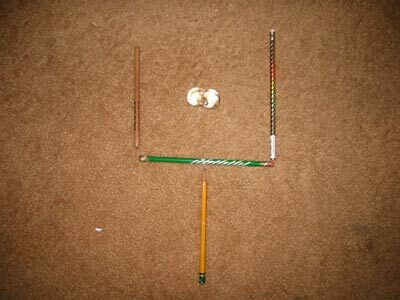 Here is where I grabbed the pencils and the glass potato. 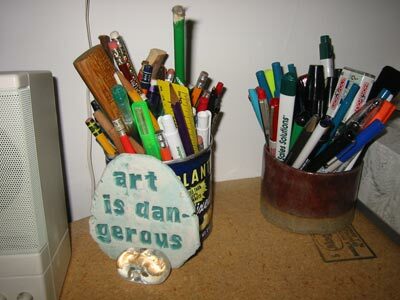 RIght off my desk.